If it is checked the 3D model is ignored and the texture is used as a 2D sprite which is always rotated to the player. If it is checked the lights don't affect the visibility of the object. 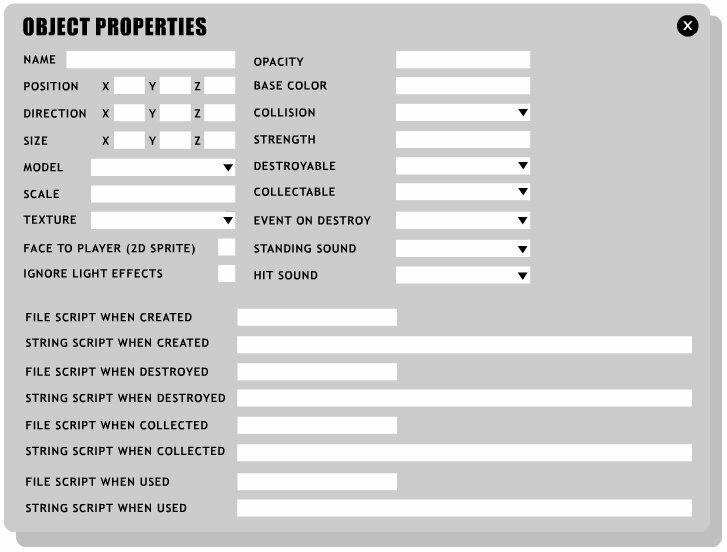 Specifies if the player can collect this object by colliding.